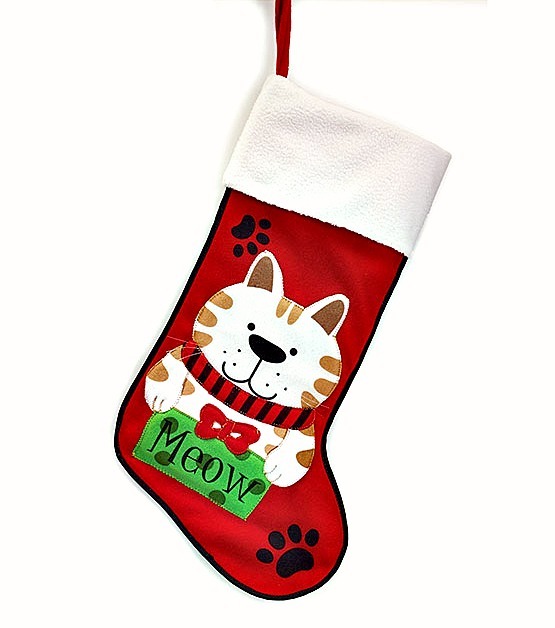 Make your "Purr" Baby feel Special with this Red Felt Paw Prints Cat Stocking with White Fleece Top and Black Trim. 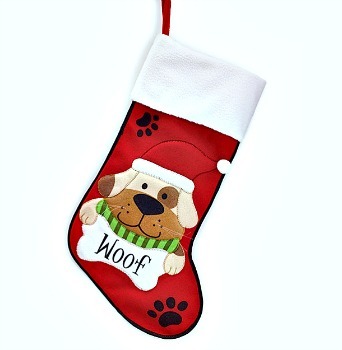 Features a Cat with Red/Black Scarf holding a Green Scarf Really Nice Stocking! !